Jason, Kimberly, Zack, Trini, and Billy have just become the Mighty Morphin Power Rangers. Guided by Zordon and Alpha 5, they will have to defend the earth from the evil Rita Repulsa and her horde of monsters. Jason, Kimberly, Zack, Trini, and Billy have just become the Mighty Morphin Power Rangers. They’ve also just started high school. Chronicling their formative days as teen heroes, the Rangers will have to balance the responsibilities of growing up with defending the world from the threat of Rita Repulsa. And she has a plan to defeat the Power Rangers. One they’ll never see coming, because it’ll come from one of their own. 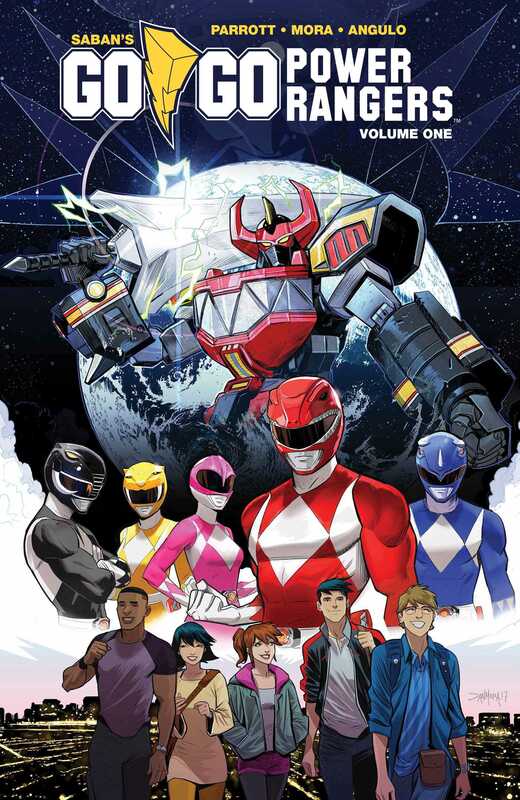 Written by Ryan Parrott (Star Trek: Manisfest Destiny, Saban’s Power Rangers: Aftershock) and illustrated by Eisner Award-winner Dan Mora (Klaus).